Give your child a hands-on experience with many of the instruments available to study at the VSO School of Music! 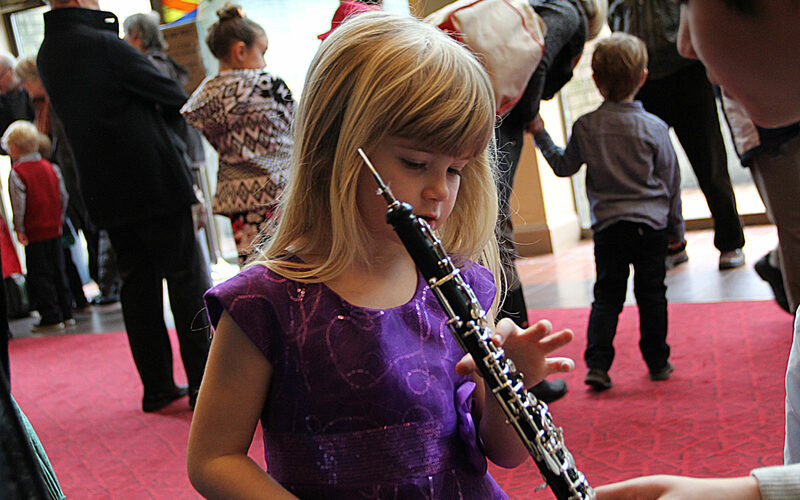 Families with children from toddlers to age 6 are invited to our Winter Term Instrument Petting Zoo. Children will have the opportunity to hear, touch and try a variety of real musical instruments, meet instructors and try their hand at musical crafts and games. Pyatt Hall will be open to existing Early Years Department families (children already enrolled in Colourstrings, Sounds of the Symphony or Instrumental Lessons) from 2-3pm and then open to new families and the general public from 3-4pm. This is a FREE event.